A spacecraft has successfully fired a harpoon into a target orbiting Earth in an operation that could help clean up the tonnes of space junk threatening telecommunications satellites. This space harpoon might finally be the answer to all the junk floating around . The RemoveDEBRIS spacecraft shot at a planted satellite panel, with researchers celebrating the bulls-eye this week. Scientists fired the harpoon at a speed of 20 metres per second to hit the target, demonstrating the potential for collecting the rubbish just beyond our atmosphere. It was the third of four experiments planned as part of the project, an international collaborative effort coordinated from the University of Surrey’s Space Centre in the UK. Professor Guglielmo Aglietti, director of the space centre, said the harpoon experiment was “truly remarkable”. “This is RemoveDEBRIS’ most demanding experiment and the fact that it was a success is testament to all involved,” he said in a university statement. In September, the project’s satellite shot a net at a test target simulating a piece of space debris — an experiment that took more than six years of planning. 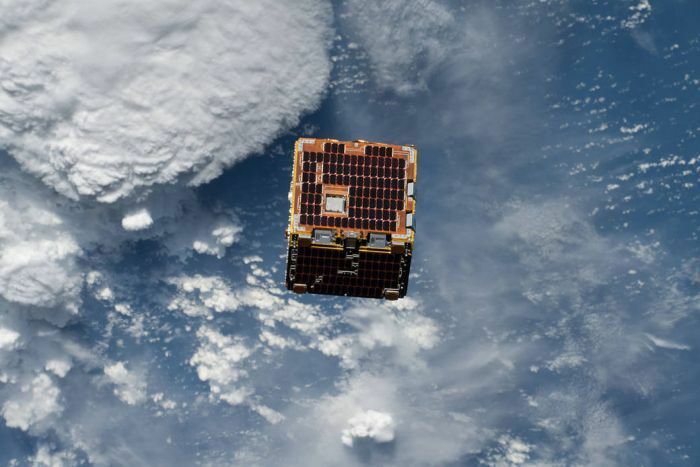 The five-metre net travelled about six metres and wrapped around a microsatellite called a CubeSat, which was deployed as part of the test. It was fitted with deployment masses at the end of the net to wrap around the target and motor-driven winches to keep the net closed. Researchers designed the experiment so the net would force the target to “deorbit” thanks to an balloon with a large surface area, resulting in a hasty return to the Earth’s atmosphere and a fiery end. Video of the experiment is reminiscent of a spider shooting a web. RemoveDEBRIS is also fitted with cameras and scanners to analyse chunks of debris and the speed at which they whizz past the spacecraft. It was tested back in October for its ability to track a test target, which eventually burned up in the Earth’s atmosphere. Its final mission, planned for March, it to hurtle towards its demise with the help of an inflatable a sail, fitted with a mechanism set to deploy to a length of one metre and self-harden. The sail is designed to quickly drag the spacecraft into the atmosphere, upon which it will disintegrate and burn up, rather than adding to the growing volume of space junk. 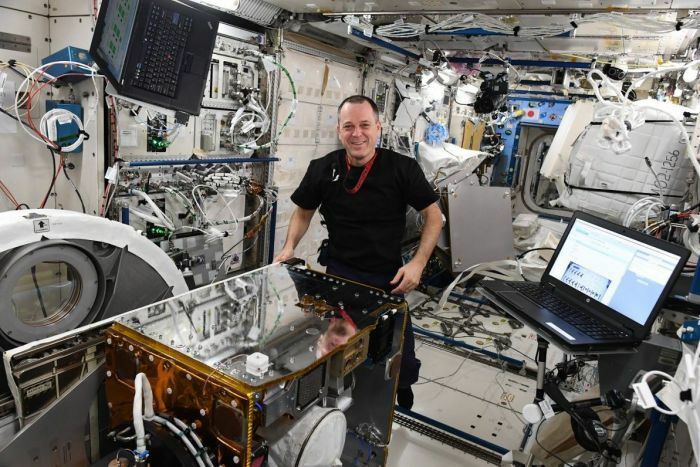 RemoveDEBRIS was transported to the International Space Station in 2018, when it was unpacked and installed by astronauts. It was then pushed outside the station by a large robotic arm, nudged in a specific direction to carry out its mission. Researchers from the European Union funded project hope the mission will help address the growing problem to space junk tracking around Earth. Space junk is generally considered to be any human-made object circling the planet that does not serve a useful function. A cube-shaped box with solar panels hovers above the Earth outside of the atmosphere. It is estimated there is more than 7,600 tonnes of this debris orbiting Earth, some hurtling at speeds that could outpace a bullet. According to NASA, these speeds mean even the smallest pieces of debris — such as paint flecks — have the potential to damage operational satellites. NASA said several space shuttle windows needed replacing over the years, with analyses concluding rogue flecks of paint caused the damage. There are more than 500,000 pieces of space junk bigger than the size of a marble whizzing around, but there are millions of tiny pieces too small to be tracked. According to a the European Space Agency (ESA), a collision with an object measuring more than one centimetre across could cause “mission critical damage”. 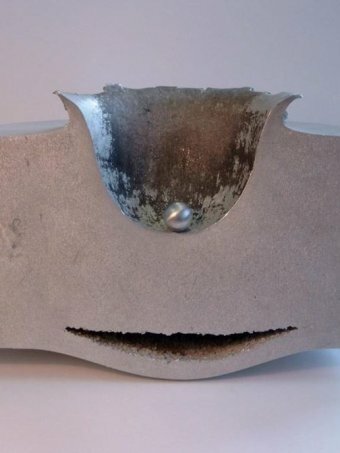 Projectiles larger than 10 centimetres, ESA found, would mostly like result in “catastrophic disintegration of the target”. The agency tested high velocity collisions to understand the risk space debris poses. “With increasing velocities the impactor will leave a crater on the target,” an ESA report said.